Yesterday we ran a story in which Focus mainman Thijs van Leer offered his opinion that modern day progressive rock isn't progressive but indeed regressive. Needless to say, many of you had something to say on the matter as social media posts were reacted to and commented upon. This was, we hasten to add, purely van Leer's opinion. 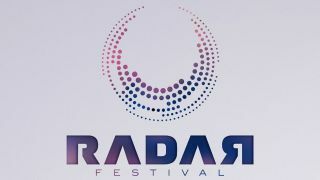 Catherine Jackson, along with Joe James of Progressive Promotions, is launching the inaugural Radar Festival in Guildford this August 2-3. Headlined by Animals As Leaders and Monuments, and featuring the likes of VOLA, Valis Ablaze, Toska and Sumer (all of whom have featured in the pages of Prog Magazine) amongst others. "The main crux of progressive music is that it evolves and develops; reforms and improves. Frank Zappa was the first person to put modern classical music with rock. That’s impressive, and set him apart from his peers, and yes - was progressive. Before I’d listened to Twelve Foot Ninja I’d not heard as many genres of music thrown into a melting pot and hurtled towards the audience at once. Frank Zappa didn’t start from scratch - the term ‘modern classical music’ hints at what my problem is there immediately. Classical music was certainly there for centuries before Frank Zappa added his magic to the mix. We only have twelve notes to play with to create music - yet people continue to strive and innovate, and this should only be encouraged. Regression, choosing themes, combining them - they’re all elements of human nature evolving as time progresses. Modern pop takes inspiration from bands who took inspiration from The Beatles; modern writers are not re-defining foundations laid down by Shakespeare and deliberately ensuring that all protagonists keep that ol’ heart beating so that William doesn’t claim copyright infringement. Someone driving a car doesn’t automatically sign off any right to owning a bicycle because they’ve accepted the more modern version of the wheel and therefore nothing else will do. I have attended a Focus gig. I enjoyed it immensely, seeing songs that I have always have an admiration for being played live was a treat. The performance was fun, it breathed life into music that I deemed ‘classic’ and I attended the gig with friends who were in various prog bands. Following your gig, they recorded new material. Some of that material would have been influenced by seeing Focus I imagine, and other bands; some of it wouldn’t be. When the singer decided to put his lyrics through the PA using a vocoder in the middle of a song and the band layered their guitar work behind it as they did - Focus can’t be blamed for that decision; or even applauded (delete as appropriate). It sounded nothing like anything they’d created at that gig. It sounded nothing like anything anyone had created at any gig I’d been to, and I’ve been to a few. It sounded like he looked at a vocoder and thought, “I’ll experiment with that”, and isn’t that the whole ethos of progressive rock summed up in one action? Scoping out bands for the new progressive/metal festival my business partner and I are working on has meant that I have spent the last few months immersed in progressive music and the genre is healthy and thriving. You only have to glance casually at the vast amount of band suggestions that Joe and I made at the beginning of the process to see how relevant progressive rock is today. The amount of sub-genres within the term is mind-boggling, and every band that twists expectations and starts a new direction is suddenly the pioneer of another step into a new territory. The term ‘progressive rock’ encompasses so much material that it still leaves you wondering what that may include, and I find that exhilarating. It’s a shortcut for “this band is trying new things, prepare to go on a journey with them.” Every band doesn’t appeal to every taste but there is such a vast array of talent out there heading in so many different directions that someone, somewhere will connect with that music and it may even inspire them to take that torch forward with their own creation. That captures one of the most important elements of the umbrella term: who knows where it’s going to go in the next decade or so? With the advancement of technology and people experimenting with new ideas all the time, it’s never been more unpredictable - and that’s not boring. The bands that we are dealing with and listening to on a daily basis sound nothing like each other. Sumer, TesseracT, System Of A Down and Primus all fall into the category “progressive” currently. I haven’t heard many TesseracT songs that I confuse for Primus. People adding a personalised mix of their influences, their own inspiration, their own abilities and their own inadequacies is what keeps progressive music alive and interesting. Take Animals as Leaders, for example - who are headlining the festival - when they burst onto the scene they were playing their guitars in a manner that no-one had ever done before and that completely changed the landscape of the scene. I’ve always found the progressive scene to be welcoming of new concepts, ideas and ventures, and regardless of genre fans are caught by the musicianship and tremendous talent in the songs. This is also the first progressive festival that I have seen that is co-owned by a woman - times are changing and evolving as necessary (although that’s probably a story best left to another day). A festival line-up that has the influences of two people with varied music taste but a core united belief that ‘it must be interesting’ is what has created a breadth of styles and approaches to one venue: it leaves people room to discover, add to their playlists and breathe new life into the next generation. Some of them will no doubt be influenced (even if indirectly) by Focus and may not even realise it. I hope so, because those elements that have kept the progressive scene so strong should never be forgotten. I love Focus’ music, and I love modern progressive music but I don’t see those opinions as mutually exclusive."